Ok, what is the debate about here exactly? Who to trust to see who is the fastest, NFS online stats or wrclient. Am i correct? Further he wrote that he was tired of me and Jeff writing about how we think that Shift can be affected by hardware and/or software. He practically told us to go home and practice our driving skills and stop thinking that some people might have an advantage over what Jeff and I uses. I did not like that remark. Small improvement using the LP640 on Road America. I will upload both laps, but it is going to take a while with this large a file. Here is the video. Notice on 1st lap all the mistakes, 1.48 sure is possible. In the 1st run I do a much better 2 first sections and that was the one I think I could have done a 1.48 in. Notice how much I slide and the time loss at the end. The 2nd 1.49.54 is a slower first half of the race, but I do not make that many mistakes later in the race. Actually multiple debates going on here. 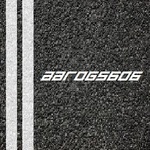 My debate - that NFS Shift lap times are affected by the players system, PC hardware, the OS, controller, possibly other factors, based on some posts at various forums by players that have two systems, but not the same peformance on the two systems. As I mentioned in my previous post, in the preview of patch 1.02, the reviewers noted that at max graphic settings, the ATI HD4870X2 had similar frame rates, but degraded game play, versus the HD5870. Here the system was identical, with the only change being the video card. The affect on game play was stuttering and input lag, so it was severe and obvious. My question is if there are more subtle and non-obvious issues involved. So I'm wondering if those additions to allow game pads to be used means that the game pads have an unfair advantage on the PC. The other issue was a comparason of online lap times versus offline lap times. Personally I see no difference on my system, my offline and online times are near identical. If there is a difference in feel, I no longer notice it. 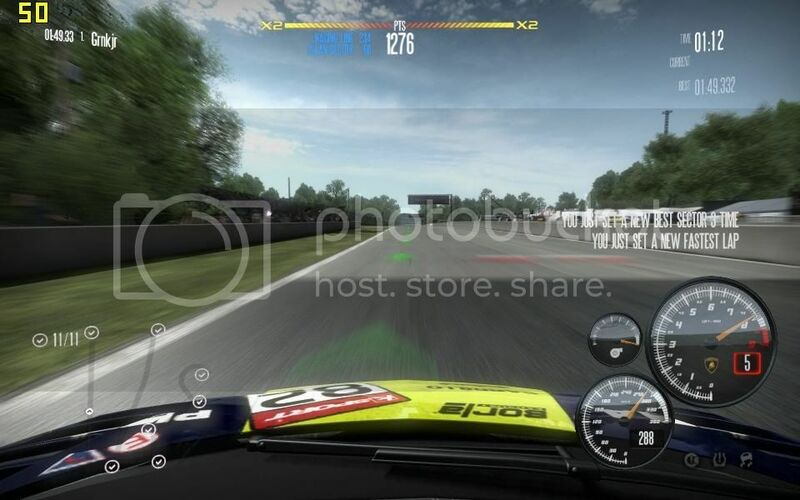 You have a much larger pool of players online, some of which are bound to get very good at particular tracks, and if there is a PC sensitive issue, a larger number of good players that also have 'Shift friendly' systems, which explains why some of those online players are beating the lap times at wrecord.com at certain tracks. The example I gave was VRTKiller's run of 1:58.479 at Spa GP 1.5 seconds faster than the wrecord.com record. I mentioned VRTKiller since I've played with him online and there's no obvious signs of cheating or anything unusual on his part. There is the possiblity of drafting, but this could be also done offline by setting AI to max difficulty, then then setting up a second lap so the player ends up drafting an AI car on the front straight just after Eau Rouge. There's also the sheer dumb luck of being able to sometimes take the high compression valley at Eau Rouge + Radillion near flat out without getting bounced into the left wall, using a combination of clipping the curbing just right as well as timing the steering for that big dip. Time attack times seem to be quicker at Nordschliefe than a standing start lap, but in that same article at AutoSimSport, they confirmed that there is a tire heat model in the game, and although the tires don't start out cold, they don't start out fully up to temperature. My guess is that in time attack, they probably start out at temperature. Well Poul, this kind of discussions with you are nothing new... And have not been only with one single person. I sure as hell do not think that you or the guys at World Record Project are any better racers than me, its simply as you say time invested in the game. Because you would be sure about something. Anyway, to leave it clear, many times I have improved my Offline Times in Online Races... I dont even imagine how many times that happened in ProStreet. But you know how many times I told my Online Lap Records when someone would ask me my best times in a certain track? Never. In my mind Online Times, doesnt matter if done by me, you or someone else, cant ever be considered when we are trying to find the Limit in that Track. Only Offline we may have any certainties. Jeff answer was as we can expect from him... Correct and objective. Who is to say that a guy like Wolfking is not racing online without knowing of World Record Project? You can not say that that is impossible and this is why I say that some of the times on leaderboard could have been set without the use of cheats. The problem here at ISRC II is the fact that too many people are unwilling to discuss things with you, all though they disagrees with you. Now tell me have you gone into the 1.48´s with LP640 yet? I did a youtube search for Dakota Tri-Oval and found a video from one of the fast online players, zx12rcr (assuming it's the same person as the online player). After finding these, I looked for videos from similarly fast online players, Dannyboy28, QueenCZE, VRTKiller, but didn't find any. I did find 3 videos by zx12rcr, which were fast, but in all cases, the videos were of time attacks, the view was from inside the car, and the video capture (fraps?) was done during the run, not after. I don't know if this affected the lap times. The description in the Dakota run does mention that it was a rare (lucky?) lap where the car didn't bounce (hop). If you can do 1:48's with the Murc, you can probably do 1:47's with the Zonda R. Have you tried the Zonda R at Road America yet? For me the Murc is about 2 seconds slower, my best Murc laps are just under 1:54 and my best Zonda laps are just under 1:52. For me the Murc has less grip than the Zonda, so I maxed out the downforce and use it as an alternate car for short tracks, but even with max downforce and short gearing, it's not much faster than the Zonda. I miss the Z06 when I could set it to 44 front, 50 rear downforce, which was great for the short tracks. a) My "external factors" are real, they exist, they are not "maybe's". Understand the difference? b) Again I say this, which doesnt seem to compute for you, I never talked about people vs people here, I always wrote about time vs time. Since you seem to have troubles understanding this, I will make it even more clear: yes, the best NFS Shift Gamer in the World may never have heard of WR Project and may only play Online, its possible; which times are trustworthy? WR Project ones. Does it compute? c) In the last week I played about 6 hours in total for WR between 10th and 13th December, with the objective of seeing how Zonda would behave now. Then I played 3 hours for ISRC last weekend, using the 67' Corvette, which was the last time I played NFS Shift. I will use LP640 for the Tier 3 Race. Now I have to Race the Rating 14 Race and try to send a few times to WR, that would correct the tables mixed up after Corvette times were increased by 1m. To Jeff: invite that guy to join WR Project, and lets see if the repeats that performance under WR Client. Road America, I know 1m 48.2s should be probable. The other 2 are have no idea of the limits, but those times sound a little 2 fast for me... But like I said, I dont know them that well... I also didnt expect to see 1m 12.2s from Zonda in Ambush Canyon, and 2 people already did it! I'll send an invite via youtube message. I rarely see those 4 players online anymore, as I'm playing less often online, and at different hours now. I didn't realize that those times were faster than the wrecord times. Again, note that those runs were done with time attack, which may be a bit quicker (pre-heated tires?). The Road America time was about the same as yours. I think the issue with Willow Springs is lack of interest at wrecord. Note that the wrecord time dropped from 1:07.4 to 1:06.4 in less than a month, so there's probably more room for improvement. Dakota Tri-Oval is a buggy track because of the bounce issue. I've never been able figure out a setup to get the CCX to work there, so I'm stuck with the Zonda R, with my best lap times around 30.3 seconds, and at that pace, I'll bounce into a wall about 1 out of every 2 or 3 laps. My guess is that Dakota Tri-Oval is just a case of another unpopular track at wrecord.com. Until I read the AutoSimSport article, I wasn't aware of the fact that tire heating is included in NFS Shift. I don't know if the tires can get overheated, or if time attack affects the initial temperature. If tires need to be warmed up, but can also get overheated, you'd need a warm up lap strategy that results in the tires being at optimal temperature for a single lap. The guy I'd like to see join wrecord is Anak, who made those early youtube videos with default setups, not long after NFS Shift was released. I don't see his name on the online leadeboards, and he's only made those 6 videos, it's like he's quit playing Shift already. On a side note, if you want to try online, try it soon, as I think the number of online players will start declining in the next month or so. The online racing is getting boring. There about 6 players I see online running about the same lap times as me, depending on the track, then those 4 players that seem to be another tier above me, but I rarely see any of them. Most of the time, the racing isn't competitive, and I don't feel right working on improving lap times when it means that slower players get a DNF for not finishing within 30 seconds or discouraging them so they just end up quitting mid race. Running time attacks eliminates the DNF issue, but players don't run time attacks that much. Now when I go online, I try to blend in and just follow the lead car, as there are some players that leave as soon as I show up. I may also use an old savegame to reset my win (podium finish)/loss(4th place or worse) stats, as these are kept in the savegames and not online. I'll join this debate to try to add some different insight. First, i believe 100% hardware and software make a big difference in performance. I am a good example of this. Im sure you all have noticed i am much more competetive within the last year. In the last year i have bought the G25 and a MUCH better pc. I dont know any more about racing line, apexes or breaking points than i did 10 years ago. Its just now, i can actually put the car where i want to. 2 years ago when we all were playing Prostreet, i could never come close to your guys times and raced all the tracks as much as you guys did. I just had such bad frame rates and steering input, i just could not hold the racing line or breaking points like i wanted to, no matter what i did. For a short time before Shift came out and we raced Prostreet again. I was pretty close to Pouls times and i was running 3 to 4 seconds faster than i was the year before with Momo wheel and old slow pc. Since Shift has come out, i dont race 300 to 400 races anymore, i dont need to. I have such good frame rate now, its unbelievable the difference. I am able to put the car, basically, where i want to. The last 3 to 4 competitions i havent raced over 100 races to achieve the times i have been getting. Everything thats been said in this debate, you have to take with a grain of salt. The only true way to find out who is fastest is to set everyone in the same room, play the exact same game on the exact same pc with the exact same controller. There is no way that can ever happen, so we will NEVER know who is truley the fastest. Of course both NFS online leaderboards and wrclient will tell us who is fast and who is not so fast. It is not worth the money to EA to spend the required time to make the games flawless and cheat proof. This is a game, not a military program made to send a rocket into space. It is certainly not worth the time for whoever made wrclient to make it flawless also. It would take several years to perfect it. By then another game will be out and they would have to start all over. I guess my point here is, i dont worry about who is atop the leaderboards at both sites. I just do the best i can without cheating and hope others will too. Because there is no way to know for sure if they are or not. I do think wrclient is a very good thing and will weed out most of the cheats. But to say everyone is posting times on there without some sort of cheat is impossible, there is no way to know. There is ALWAYS someone bigger, better, smarter, faster. The smarter one just might be the one on top using a cheat that is not being detected. More than likely not, yes, but until they can give me a 100% guarentee(which will never happen), well like i stated earlier, i have to take it with a grain of salt. Poul, i think this is what Rogerio meant when he stated " just better yourself". There is no way to know who is and who is not cheating, so why bother with wondering. Just do the best you can honestly and hope you come out on top. 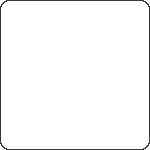 Jeff, send me a freind invite in Shift. I enjoyed racing with you the few times we have. I need some good competition. The competition level isnt as high when i race in the evenings(except for Sunny). Ill race time attack with you. I am not trying to be smart here, just pointing out the fact that times done without the use of WR client could easily be done without the use of cheats. Now let us say that you were as great a driver with pad as you are using G25 wheel and have the same experience? Now when using that pad, don´t you think you would be superior compared to the rest of the guys at WR Project? Which means that even a less skillful driver than you, would be able to outperform even the best G25 or any wheel driver? Some of the guys who raced Carbon used pads and they sure as hell were fast - its that kind of talent I mean that could be doing times on the Shift leaderboard that are valid and done without cheat. I am not talking about Redarrow or similar guys that are posting ridiculous times though. I saw that Road America video Jeff linked and I was unable to tell if it was the real deal. I am not even sure if he used wheel or something else, but to me the racing lines and the speed looked to be OK, though I noticed he did 190 km/h+ in that turn halfway through the race without losing much speed. I can not do that, but it could of course be setup related or as Jeff points out better grip from tires being warmed up (did not even know about that). Again Rogerio persons vs times is irrelevant. I never stated that the times on leaderboard all should be trusted - only the fact that just because some of the lap times seem to be too good, does not mean they were done using cheats. It could be a guy using pad (which you say is faster on some tracks) or something that has still not been discovered. How long did it take for us to realize that the so called speed bug in Pro Street exists? We raced a lot of races and I remember you could not believe for the life of you how it was possible for Kirk to beat your time within minutes after you had improved your own time. He forced the speed bug and used that to his advantage and I remember we had problems in our PBR competitions, because the speed bug would show randomly. What I am trying to say here is; we all ready know a speed bug exists in Shift (the SpecV speed bug) who is to say that this bug can not be forced and is showing on some peoples systems more often than on others? This does not sound insane to me at all, but what causes this bug, still needs to be discovered. I too like the idea of a program that will detect cheats like this WR project (wish Shift had implemented it from start), but like Aaron I have no doubt that it would be pointless, because there are always people out there able to crack every code in the game. And the biggest problem is the fact that the latest NFS titles have used the same codes and the people making trainers and such will have one up running less than 24 hours after its release if they wanted to, hell NFS even links to this forum on their website, whilst we here at ISRC II are trying to keep everything clean in our competitions and tell people not to use cheats online. But external factors might as well be internal factors you yet have to discover. If such a bug can be forced we will of course ban it in our competitions like we did in Pro Street. But the speed bug is real and is not a maybe, which you have seen in several videos I have posted. If you do not remember, let me remind you of my 45.73 lap time on Glendale West using SpecV. I have tried Zonda R at Road America, but I am not faster than when using LP640 - well not before i get some more practice with the car. The reason to this is because I have changed in game settings completely and I have to get used to driving each car again and make some tuning changes, because I use way more sensitivity now than before. No that was not what Rogerio meant. He thinks I am unhappy, because I am not able to compete at the moment and thinks I need to practice rather than be thinking some people have an advantage using some external factor I am unaware off. Well I do think I am able to compete, I just need to practice some more. But do not think that some people are not trying to exploit the game and use whatever bug they find - they are and have been in the past as well. That you do not even need a trainer for. I remember when we raced Undercover that using keyboard was the fastest, followed by pad - soon all times in WR Project was done using that - an external factor that is real. And the internal factor in Undercover was the handbrake bug, which made your car accelerate with lightning speed. I am not sure if WR project allowed that, but if they did they should also allow the use of a Shift speed bug - if it can be forced. I have commented enough on the matter and hopefully I have made my point clearer. - Of course if you compare a 50 US Dollar Wheel to a 250 US one, or a PC with 20 fps to another with 100 fps, there are differences, big differences. But that was not the point here... What was at point was people using equivalent in performance but different Hardware, where "maybe" some Hardware brands give advantage. - As a matter of fact, what you describe can happen! In WCG everyone uses the exact same hardware, except for the Controller, which is player preference! Of course that in 2008 Grand Final, 90% had the exact same controller also: G25! - And yes Aaron, that was what I was trying to say to Poul. I am not an English native, but I think I was pretty clear. - WR Client is not something they cooked up for this game from scratch. Because Shift is based on other games from SMS, they had already plenty to base the tool, since games like GTR have this kind of software since they first appeared. WR Client checks all essencial files on your HD and sweeps the values in memory. It doesnt allow NOS. It intercepts the "Cutting Messages from the Game" and applies a penalty to the time. And as far as I know, the Shift Speed Bug only happens Online, and WR Client only works Offline. Online there is so much that can be done that I dont even bother, they dont count. If this guy, Jeff found out, increases the Grip just by a fraction and he has some talent, be can do 1s faster then WR and we cant see it on the Video, especially in tracks as long as Road America. - I dont think you are unhappy because you dont compete, although I dont know why you dont do it, since you obviously played more then me in last week, and I did it. But I believe you are not 100% comfortable in Shift, at least judging by your comments in almost every Race we had here. Anyway, its not any of my business. Actually I have had very little time to play the last weeks, because of work. This is our most busiest period of the year and some times (almost every night) I am just to tired when i get home. I usually get online in here, but I do not play much. I changed my in game settings 4-5 days ago and instantly I improved my best lap time at Road America with LP640 and then Zonda R. This game is all about finding the right amount of sensitivity and settings. The possibilities of in game settings combined with Logitech Profiler and tunings are just insane. I have improved my time at Road America again, but I have not yet been able to do 1.48. But this weekend I will try my hardest and change the tuning some, to see if I can find that little time needed some where - just have not changed tuning yet. But I guess 1.49.32 is not bad at all if LP640 is supposed to be a little slower than Zonda R.
Jeff did you hear from that guy yet? As of this post: zx12rcr - last sign in 15 hours ago. ardathrokok - last sign in 1 month ago. Doesn't look too promising, as I rarely see any of the faster players online anymore. Regarding cheat proofing a game, and making it unsensitive to system peformance, this was done with NFS2 -> NFS5. As mentioned before those controller input based replays proved that the game played identically on all PC's, and also provided a cheat proof method for proving hot laps. When one of these replays is viewed, it's a rerun of the race, but on the viewers system, with the only difference being that the stored control inputs are being used instead of live ones. If there's any difference in the cars response to the control inputs, due to a difference in a PC or due to hacked physics, the car will not respond the same on the viewers system and it will go off track, usually getting stuck on a wall. There are replay checkers for High Stakes and Porsche Unleashe that display all tuning values, any assists or cheat codes used, so between the checkers and viewing the replays, you have a cheat proof system, that is also not affected by the peformance differences between PC's. Why can't the newer NFS games acheive what the old ones did. 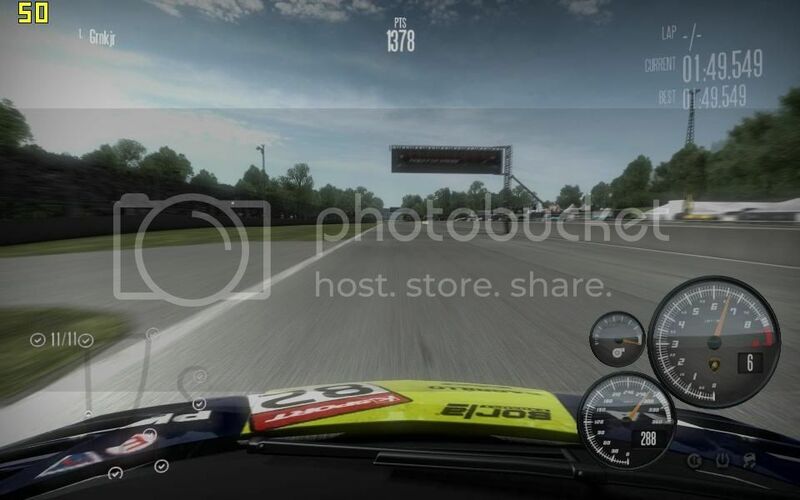 Live For Speed also uses a controller input based replay system, and so does Toca Race Driver 2 and 3, which helped the game developers eliminated any system related issues in the games.